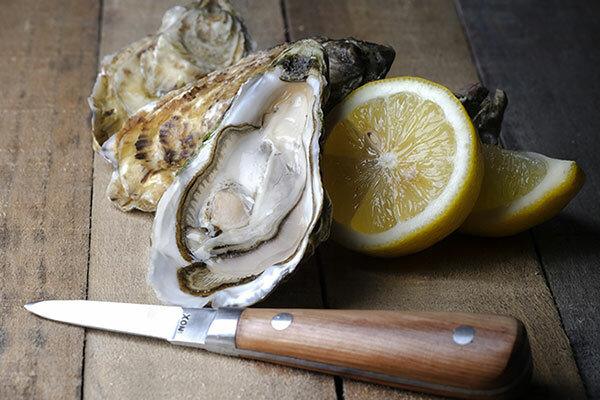 Both iodised and soft in the mouth, fleshy and with bite, the oysters from Saint-Vaast-la-Hougue are sought after by connoisseurs for their subtle nutty flavour. Our oysters are not milky and can be enjoyed throughout the year. Low in calories (42.1 kcal/100 g) but rich in protein (6.36g/100g of protein), oysters are an excellent source of vitamins B12, A and D and minerals such as phosphorous, potassium, sodium, zinc and iron. They are also rich in Omega-3, a fatty acid which is essential for a healthy immune system. 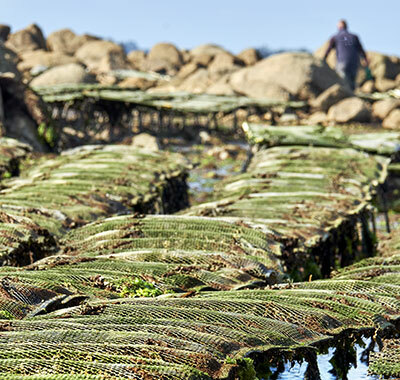 Our oysters are raised offshore for an average period of 22 months (depending on the size). Two months before they go on sale, they are transferred to maturing parks, closer to the coast, to finish hardening their shells. Between 48 and 72 hours before they are delivered, they are placed in basins of sea water from the bay of Cul-du-Loup, where they acquire their sweetness and the finishing touches to their flavour. During the farming and maturing process, our oysters are sorted by hand, and any which do not meet our strict quality criteria in terms of appearance, physical structure and size are removed. Les Jardins Ostréicoles de Tatihou take great care to preserve the freshness and full flavour of our products during transport. 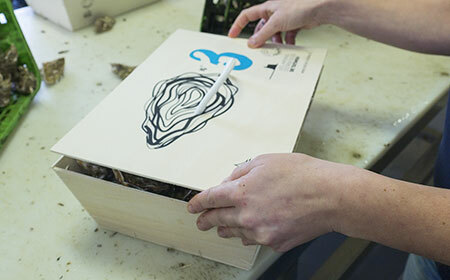 To do so, we use high quality packaging. The flavour of Les Jardins Ostréicole de Tatihou oysters have regularly received prizes by the juries of the Concours Général Agricole. Six medals have been won since 2011, including four golds medals, the latest in 2017.